Is It Possible To Rank On Google Without Backlinks? YES! Well, as per my experience it is possible for SURE! 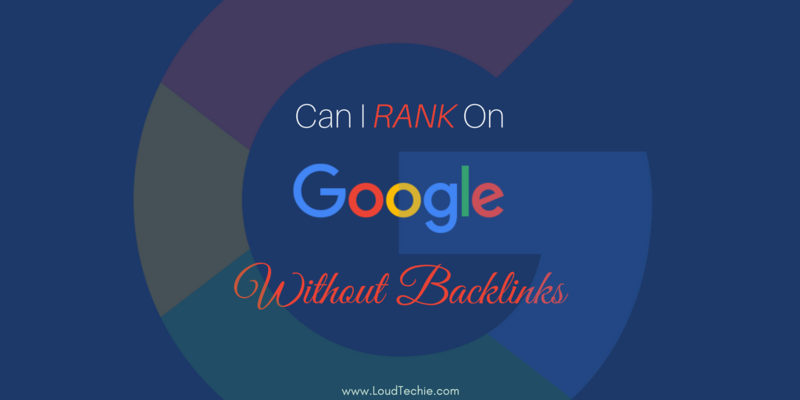 Here check this out what Google has to say about ranking without backlinks. Creating backlinks is a struggling job, if you are creating quality backlinks only its fine but if you are more focused on the backlinks quantity (low quality) that could be an issue. I’m not a big fan of creating backlinks for my blog. It’s not that I don’t want backlinks to rank but I really don’t like my content to get backlinks without having value in it. I believe in pure blogging. I try to give my best with content quality and if that gives value to a person I welcome the backlinks as a reward for that content. This article relates to all these questions. For those, I always try to keep it easy and simple. So that they don’t get confused or waste their time creating backlinks only and ignore the other search engine ranking factors. And those who get involved in the race of creating backlinks end up being penalized by the search engines for their low-quality backlinks efforts. So I decided to come up with all my experience to achieve my ranking goals till the date. In this article, I will be acknowledging few important tactics to do it. This is possible because Google considers many other factors to rank the pages that are not so popular but yet effective. Before choosing the keywords for your blog content, think about the searchable terms and whether they have the high-value return in the search marketing field. Ahrefs keyword explorer uses clickstream data for better knowledge about click metrics. You can’t just depend on the keyword’s high search volume but the higher clicks you get from any specific search term. Is the keyword relevant to your website? If yes, then proceed. Do not just depend on the exact keywords or top-ranked keywords, instead predict few searchable terms for your focus keyword. As not all the readers know the exact keyword to find your written content. So it’s better to predict how a human mind can search for your content. Google RankBrain is smart enough to know about your alternative searchable terms. Go through the websites already ranked for your keyword. Find out how can you add more value to your content than the already ranked websites. What have they missed, how legit are there tips? This will give you an idea about the competition and how difficult it is to rank for the given terms. But with the right set of keywords, you can rank significantly. To learn more about it read the next point. Many keyword research tools such as KWFinder can give you the desired keywords for your blog post. Its advisable to use those keywords that have high search volume but low competition. This is because when you do the proper on-page optimization along with high volume and low competition then the Google’s algorithm will rank it. Using these kinds of keywords will help you in building a good Google rank without backlinks. Many optimization tools are available that will help you in getting the site SEO optimized. I use Yoast SEO for my On-Page optimization. With premium Yoast SEO you can add up to five focus keywords for a single page/post. And few other features like internal linking suggestions, Redirection manager, keywords optimization and more. Once you get an overview of the keywords then you can make it to the Google first page. We all know that content is king! But as per the ongoing high-quality content competition, another interesting ranking factor need to consider is the length of your content. Let me give you an example; make a Google search right away and search for anything you may like. You may see most of the top results has few things in common they are high-quality, well researched and Long Form Content. 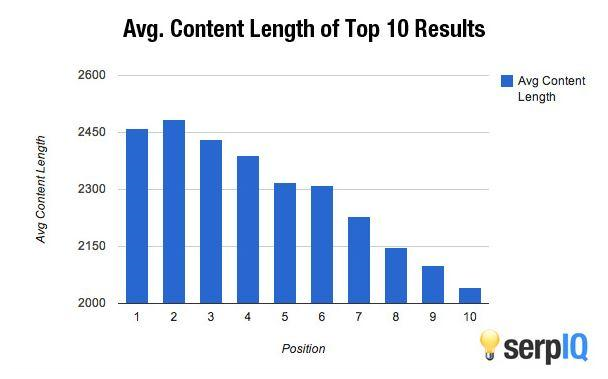 Why length of your content matters? And for that, your content should be well informative and relevant. The long form content also enhances share trigger. In fact, your content length is one of the biggest share triggers you can use to improve the user engagement. Longer content tends to generate more shares and backlinks which means it has more chances to get ranked on top Google results without creating any manual backlinks. The main motto of having content on your website is to attract readers. So before going any further think about the kind of content that will make people like your content. It’s a great way to solve the reader’s problem or if you are selling a product or services then you can highlight the problem and guide them towards solving it using your product and services. Although there is no right number of word count that should be in your blog post or webpage. But this given study chart gives us an interesting result to try out on our content. According to Google’s SEO guidelines, more useful content has the better ranking possibility. That means if the content has more information then it will solve more problems. Better the content better is the rating. So, make your own post instead of copying it from any other blogs or articles. There is one more hidden trick within in quality content writing, you must have been writing for your target audience. But there is one more thing you can do which is writing for those who can influence your target audience. When you start writing for your market influencers they will see value in it which make them share and link to your content. By this simple and small trick, you can get many more eyes on your content and can rank high on the search engine. For more information on long-form content, you may like to read this article. Ignoring this part means forget you’ll ever get ranked. On-Page SEO seems to be complex but trust me it is way easier than writing high-quality content. Most of the On-Page SEO techniques are used for the Search Engines only and not for the readers. Among the many On-Page SEO techniques, a few shouldn’t be ignored. The one which tops them all is the title of your post. Each blog post should have its own unique title and meta description. Try to add your focus keyword at the start of your title. Your blog post title should have your focus keyword well inserted in it and don’t forget to use H1 “headline tags” for your blog post titles. Adding meta description is also important to include. They are a good place to insert your focus keyword for the content since they are used during the page listing and ranking. Always use SEO-friendly URLs, and for that, your permalink structure should be optimized properly. Three things to do with your URLs; make it short, relevant to the content and must have your target keyword. Meta tags also aid a lot in the ranking process. For each of the posts/pages, meta tags can be used but these should be all relevant to the content, that has been researched earlier. Also, use subheadings with H2 tags to divide your content into smaller sections. It not only makes the whole content easier to read but the content will also look clutter. It’s good for both the search engine and for the readers. Learn more about the art of writing SEO friendly articles for better SERP. Go Green with Yoast SEO: Yoast SEO plugin has a pre-designed checklist for your On-Page SEO optimization. So following the suggestions given by Yoast will be a perfect thing to do for better SERP. Website Speed: It is ignored by so many websites but the page load speed of your website is one important ranking factor that shouldn’t be ignored. Strong Internal linking structure: A better internal linking structure will help you in many ways it tells the crawlers to crawl through the given links, it tells the crawler that the given internal links have value to your readers, it helps your readers to read about other related content on your website which results in low bounce rate. Yoast SEO also gives you related internal linking suggestions in real-time. It’s not that difficult as it sounds. LSI keywords are those essential keywords that are most related to your main keyword or search term. They are helpful for both the search engines and for your readers. As I already discussed in my first point “Predict At Least 3 Human Searchable Terms“. You should add human searchable terms for your main keyword. Your main keyword never gets the right search volume but you can get good search volume if you target its LSI keywords too. After the Google Panda update, Google crawlers are looking for more of a topic related instead of a keyword match. So it is advisable to include LSI keywords in your content. And that can be done by doing natural writing and re-write your LSI terms in a sentence. LSI keywords are kind of synonyms for your main keyword or topic. For example; if your main keyword is “Travel”, your LSI would be like “flights, restaurants, visits, tourist places”. You can easily place these LSI keywords within content while doing storytelling. That’s why I never recommend adding exact keywords in your content. Maintain your keyword density but that should mostly be LSI terms or long tail keywords. Google itself offers you variety of LSI search based keywords in the name of search results related to “your keyword“. All these are easy to find in many cases. But when you are about to target a unique keyword or the one which is not so famous in the search engine yet. You may not find your LSI keywords help by the Google. No worry! You are not out of luck, there are so many interesting tools you can use to find LSI keywords. 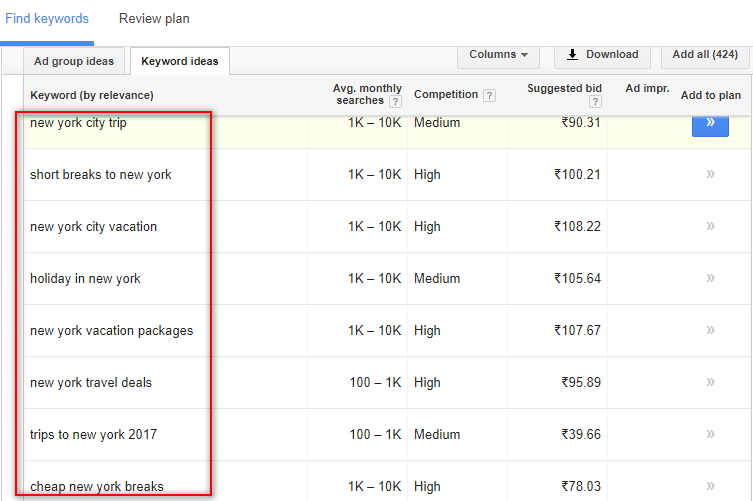 Google Keyword Planner, gives you enough keyword ideas to look for based on monthly search volume, competition and CPC. LSIgraph, it is a free tool you don’t even need to sign in. 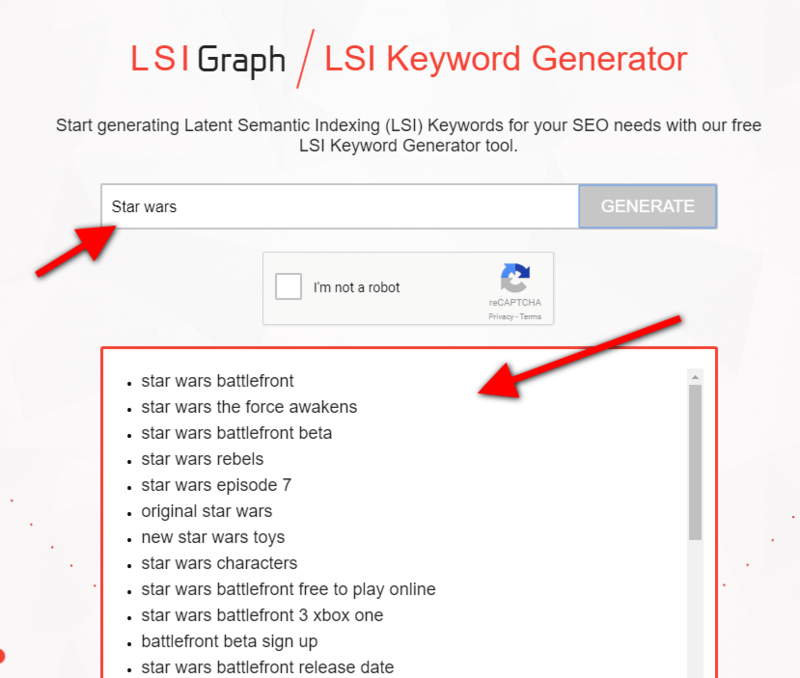 Just put in your keyword and generate LSI keywords for it. Ubersuggest recently acquired by Neil Patel, it’s still free to use and fully functional for everyone. You can get search data such as search volume, CPC and competition. Another tool which I frequently use for my LSI keywords research is AnswerThePublic. This guy is so full of questions on any topic you pick. All these are my favorite tools for the LSI keyword research task. As it has been discussed earlier, on page optimization is really important if you want to rank on Google first page without backlinks. Yes, it’s true that content is the king. Unique and quality content stands out from others but this will be of no help if optimization is not done. 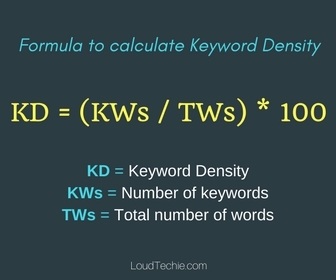 Make a note of the keyword density. It shouldn’t be more or less than enough. If you put fewer keywords then it will get unnoticed and if you use more, then you are reserving your place in the list of spammers. But to overcome this issue you can use LSI. Right next to LSI Keywords. Long tail keywords is another big thing. Everyone tells you to focus on long tail keywords but why? Because they are good to get evergreen traffic and maximize the exposure of your seed keyword with multiple searchable terms. Means if your seed keyword is “Make Money Online“ your long tail keyword can be like “How to make money online without making any Investment” or “35+ legit ways to make money online with affordable investment“. They sure drive in less organic traffic but they are more specific to your product or services and visitors that find your website using those Long tail keywords are more likely to buy your services or products. All you need to focus on is how you can make your long tail keyword more specific so that it could trigger high conversion. The longer it is the better it will be. One of my article in which I used a long tail keyword as the title. Now my long tail title is broken down into thousands of small and exact keywords to drive me huge traffic. In the above screenshot, you can see my single long tail keyword expansion into thousands of small keywords. This is the power of long tail keywords. You don’t have to add it in your blog post title only. But you can also include it in your content in the form of questions or anything you may like. I prefer to add long tail keywords in the form of questions within my content only. Use of long-term keywords will give you more exposure. So long tail keywords will give you more chance to be on the top and to rank high without any backlinks. Learn more about how to find long tail keywords. Want to write something interesting and new? Google trends can give you the topics to write about and can help you improve the ranking of your articles. Its one of those secret weapons of the bloggers that they keep using from time to time. 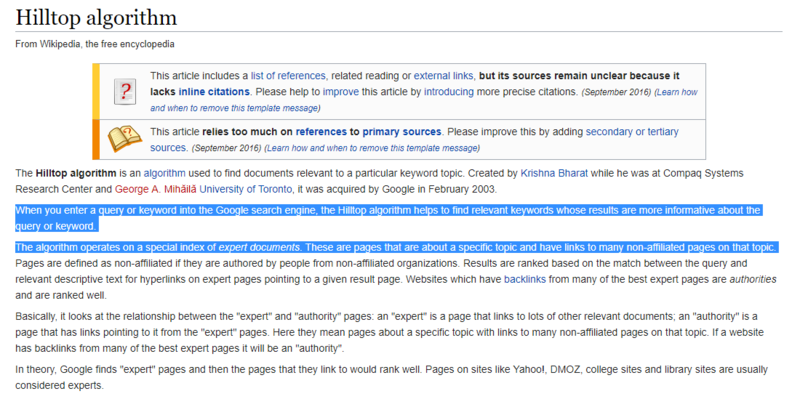 They keep on searching the web for new and trending keywords research and rule over the internet. Search a topic or a keyword using Google Trends. You’ll get a graph chart based on the interest over time for that specific keyword. You can even download all the search results in CSV file format. Next, you’ll also get the regional based data for that searched term such as locations where it was the most popular in the given time frame. Note: A higher value means a higher proportion of all queries, not a higher absolute query count. So a tiny country where 80% of the queries are for ‘bananas’ will get twice the score of a giant country where only 40% of the queries are for ‘bananas’. And, if that is not enough data for you to go for it. Here it will show you a huge list of rising and top “related topics” and “related queries“. Related topics to give you an idea about other trending topics you can find interest in. Related queries to give you top and rising long tail keywords and exact keywords related to your search term. I hope you find it interesting and going to use this tool for your next topic. If you want to rank higher on the search engine without making any backlinks. This is something you need to worry about. Doing it too much can harm your SEO and ranking. But not doing it won’t get you good results on the search engine. Depends on your niche the competition would be high on the search engine, it’s all about ranking on the top. And for that, keyword optimization is essential. An optimized and well-researched keyword means you are helping out the search engine to better understand your content and how it will help your readers. I know you must be already using keywords in your content. But, Are you maintaining your keyword density? 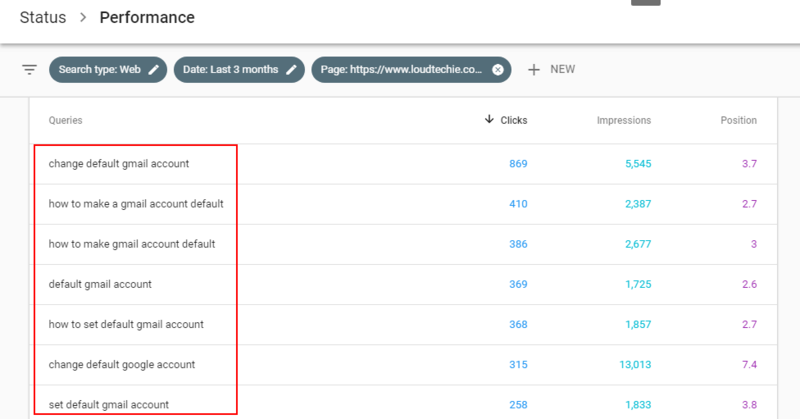 Keyword density is the percentage of the number of times a keyword or phrase appears on a page compared to the total number of words in that page. I have got good results by maintaining my keyword density between 0.7% – 1% on some of my articles. I’ve seen many bloggers doing keyword research but not keeping up with the keyword DENSITY. Keyword stuffing and using your keywords aggressively not just harm your SEO but can also penalize your website. The article loses its natural look. Having relevant keywords uniformly in your content is very important. That helps the search engines to understand what your content is all about. Yoast SEO plugin keeps suggesting you the required keyword density/ratio for each blog post. But I prefer the manual way to do it. Does security count in ranking factors? Yes, it is. Google has officially announced HTTPS as a ranking signal. Its the most important of them all. Since all of us have been using the internet from both the sides i.e. as a website developer and a user, we understand the importance of website security. If it’s not secure then the customer won’t visit your site. In order to keep your and their information safe, it’s better to install SSL certificate on your website. SSL will secure all of your data transmitted over the web. If you have many subdomains and are under tight budget then you can use wildcard SSL certificate. Here are some WordPress tips to protect your blog. There are so many theories on this factor. By many SEO agencies as well as by many experts. Find out Neil Patel‘s infographic in which he explained how social signals can impact search engine ranking. This is yet to be officially announced by Google as a ranking factor but it is the second most preferred thing to do after SEO. I think Google does consider Social signals as a ranking factor because it triggers so many things what Google love to find in any quality content such as user engagement, quality sharing, high traffic, etc. They once said, “sharing is an obvious validation of quality”. But it can’t be one promising ranking factor because social media has too many links spamming and users see quality over followership. I recommend scheduling your freshly written content throughout the month on weekly based. This will get you a good number of eyes. You might not agree with me on this one. You must be like “Adding my competitors link to my blog post content“. NO Way! But trust me this is something you should try out. I have experienced it and you may have noticed it I always add dofollow links to many high authority websites. Still, don’t believe me? Check this out, Google Hilltop algorithm. But this shouldn’t be for the sack of SERP only. You need to consider it as a high quality and helpful resource link for your readers. This method can also improve your outreach and social sharing. You can get benefit from your added links, outreach the blogger and let him know that you have mentioned his blog link to your content as a good read for your readers. He will sure like to give a read and as a reward can help you with the social sharing, comments or a link back in his own website. Adding up irrelevant links won’t gonna help. This is one surefire way to let the search engine know what your content is about and what type of readers may find it helpful. Do try this one. I hope you find this article worth trying out and will try out some of the mentioned tips. In the above article, I have shared the tips I have personally experienced and want you to try them out too. Let go of the race of creating backlinks which never gonna end. Try creating high-quality content that gets the reward as backlinks. If you think I have missed something or have you experienced any other method other then these to rank on Google without backlinks. Do let me know using the comment section below. Find it interesting to read do share this with your friends and on social media networks. This post is pure gold. For an inconsistent blogger like me, it’s loaded with information and tips see so-doable. Thanks for this. Thanks for your feedback Jheelam. Good to know that you find value in it. You are most welcome. And sure I’ll try to come up with more researched and practical steps to improve your SEO and ranking. This is really nicely explained article. But my question is we can follow this method for blogs, what about the business sites? We can’t put much of content there, so how to rank those pages? Hey David, You can always use blog page on your business websites. Write blog posts about your business and interlink to your services and homepage within your content. This way your blog posts can rank high and drive traffic to your services page. Thanks for the reply, I will surely follow this. Really nice information you gave us. thanks for sharing with us. I always face many types of problem-related to Backlink After reading your article, I believe that without a Backlink, we can rank our blog on Google. Impressive and extensive article but since I have a travel startup shouldn’t I have some back links for my seo. Having backlinks is never a bad thing but focusing just on creating backlinks is not a wise decision. thank you for providing such a good article, it is very helpful to newbies who has started the career in bolgging industry. Hi Alok, Nice and informative post! You have shared quite useful tips to improve rankings as well as traffic on a blog. “Content” is the king as we usually hear when it comes to ranking. If we provide valuable and useful content people will start sharing and referring it. Also, good SEO and keyword research can add to it. Hi, you really share an interesting post and thank you very much for writing such a fantastic blog because as a reader we got to learn a lot from your content. Keep writing more content like this! Glad you find it interesting Ashu. Cheers!